The Yorkshire Art and Design Teachers Network meet each half term at York Art Gallery. Teachers are welcome from all phases and meetings are an opportunity to share good practice, discuss joint and local initiatives and update on issues affecting art and art education. Bring your ideas, skills and colleagues for a professional and social networking opportunity. Meetings are held in the Studio learning room at York Art Gallery from 5pm to 7pm. Tea, coffee and biscuits on arrival. Please RSVP to maria_keki@yahoo.co.uk. engagement with York’s gallery and museum collections. Some meetings will include a practical workshop element where teachers can develop new practical skills. 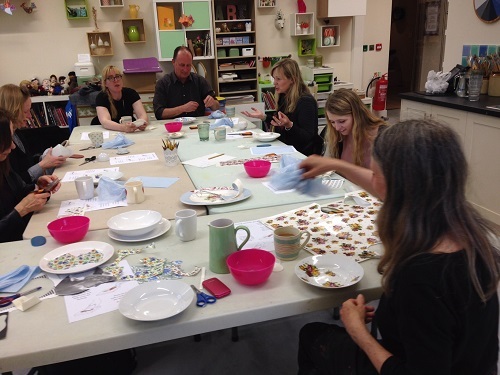 Last year YARN meetings included workshops with painter Tom Woods and ceramic artist Beccy Ridsdel.